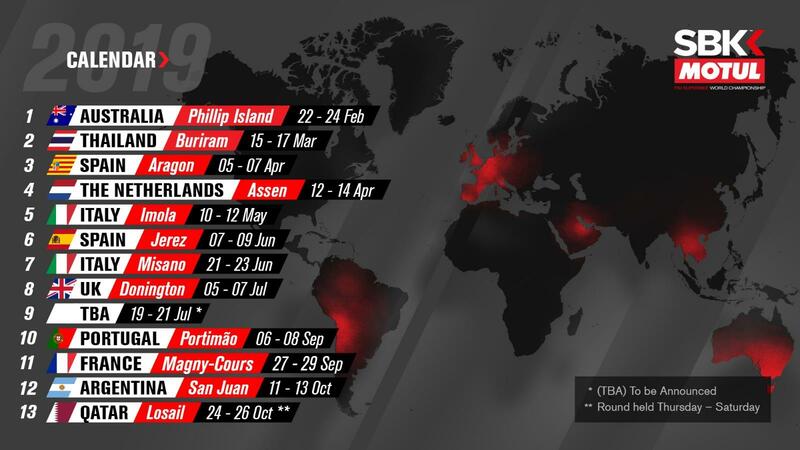 The 2019 World Superbike calendar has finally been announced, featuring 13 provisional dates across ten different countries. 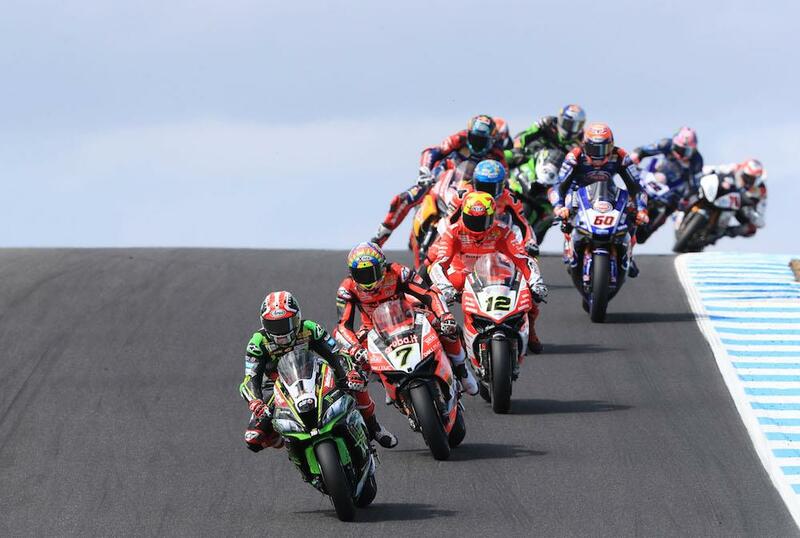 The season as always kicks off in February at Phillip Island, with an official test at the start of the week (18-19 Feb) before round one kicks off at the weekend of 22-24 February. Round two takes place in Thailand two weeks after, and then a short break before the series resumes in Europe at Aragon between 5-7 April. One week later the series visits Assen, before heading to Italy for the first of two visits between 10-12 with a round at Imola. Jerez returns to the calendar between 7-9 June before the sole UK round at Donington Park, which takes on the new date of 5-7 July. While there were rumours that the summer break would be significantly shortened, there are seven weeks between the TBA round and the series resuming in August. The final European round of the season is again Magny Cours between 27-29 September before the series again goes overseas to Argentina and Qatar, with the season ending between 24-26 October. Brno and Laguna Seca are two rounds from the 2018 season that don't feature in 2019, but it's thought Laguna Seca hopes to be back in 2020.